16GG, 2-ply superfine cashmere sweater. 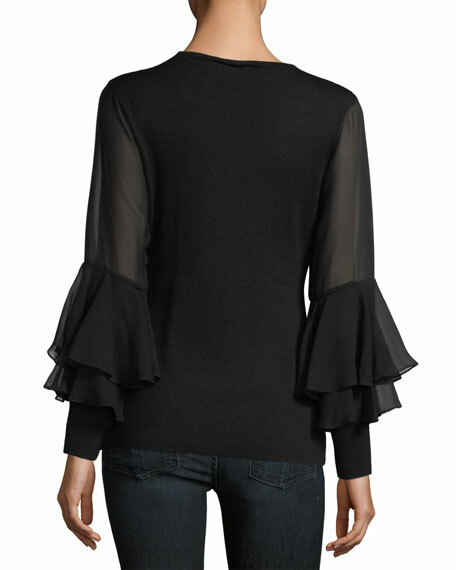 Sheer, ruffled chiffon long sleeves. 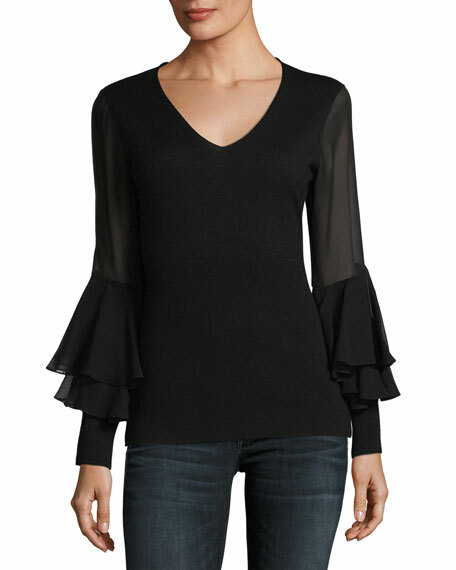 For in-store inquiries, use sku #2563046.